Known as 'The Happiest 5k on the Planet' The Color Run returns to London in 2018, taking place at Wembley Park. Less about speed and more about fun, the event sees runners/walkers/dancers begin the event in clean white t-shirts, but after being doused in a different coloured paint at each kilometre, crossing the finish line completely covered in a vivid rainbow. Last year took the theme of Dream while this year it will be Marvel-lous, with participants invited to celebrate their favourite heroes. 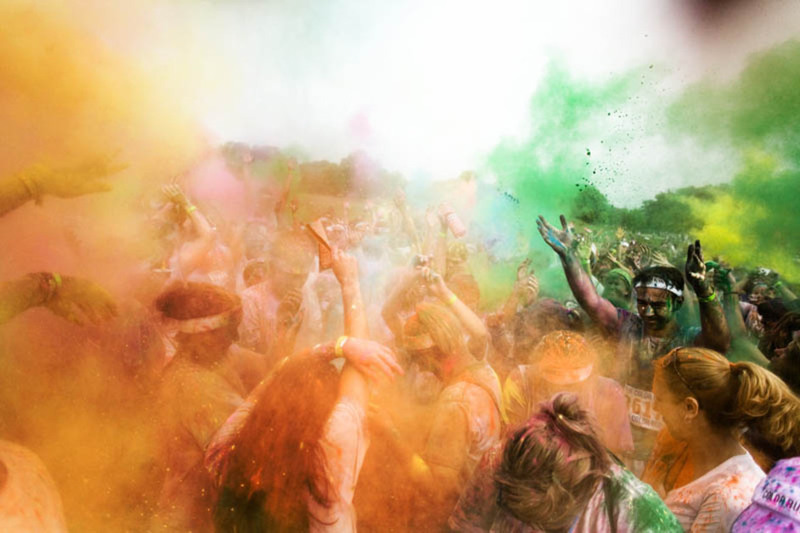 What are the best dining options near The Color Run London? The Color Run gyms, sporting activities, health & beauty and fitness. The best pubs near London The Color Run. The Color Run clubs, bars, cabaret nights, casinos and interesting nightlife. Where to have your meeting, conference, exhibition, private dining or training course near The Color Run. From cheap budget hotels to luxury 5 star hotels see our special offers for Wembley Park hotels, including Hilton London Wembley from 61% off.